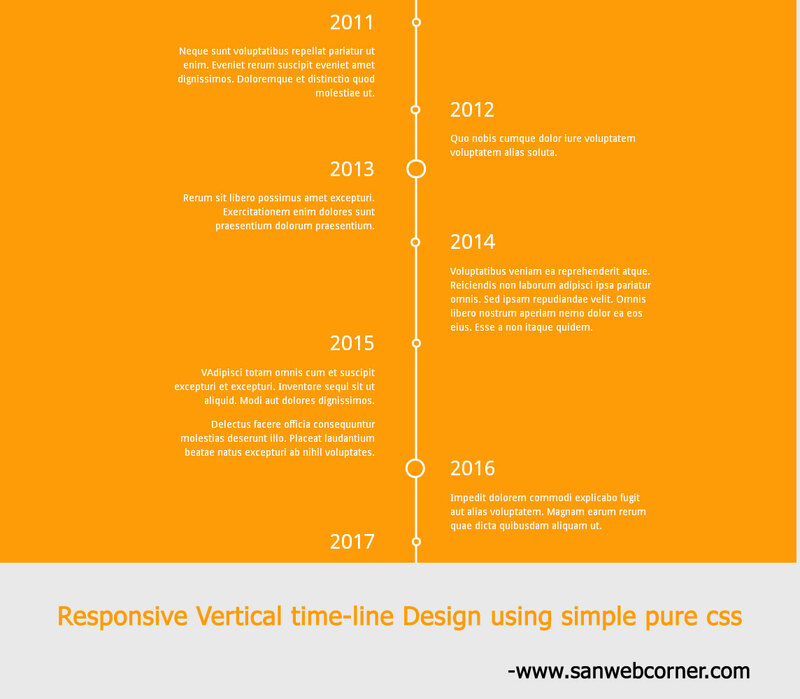 Today we will see how to create responsive timeline vertical design using simple css code. This design helps the user to view the post or particular information for that particular time. 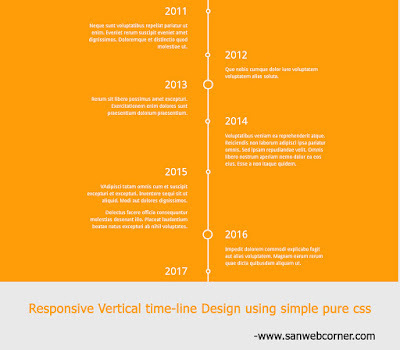 It is user friendly and easily understand the timeline contents. Here is the example contains the code you can download and use this code. Click the demo link below to visit the result for this example i hope this post is very useful.